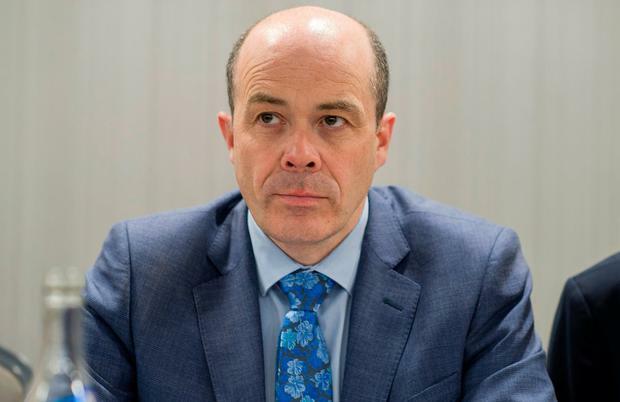 Minister Denis Naughten has revealed he is prepared to sign nomination papers to allow a candidate to get on the ballot paper to challenge President Michael D Higgins. The intervention by the senior independent minister will boost hopes among potential contenders in the race for the Park who hope to secure a nomination by winning 20 signatures from Oireachtas members. Mr Naughten told the Sunday Independent that he believes Mr Higgins has "done a really good job as President". He added that he had been reassured that Mr Higgins was in the role in the event that he had had to be called upon during the protracted negotiations to form a government in 2016. "However, having said that I do not wish to impede a candidacy for the presidential election. Therefore I would be prepared to provide my signature to a nomination paper where such a candidate has already secured 19 signatures from members of the Oireachtas," he said. Mr Naughten said he will make no further comment on any of the potential candidates, but that he is willing to talk to anyone who has secured 19 signatures. The number of possible candidates grew in recent days with former GAA president Liam O'Neill saying he is considering a run for Aras and Uachtarain. He joins others like Independent Senators Gerard Craughwell, Padraig O Ceidigh and Joan Freeman as well as artist Kevin Sharkey who have expressed an interest in entering the race. While Mr Higgins, as incumbent president, can nominate himself and has announced his intention to seek a second term, other candidates must either seek the backing of 20 Oireachtas members or four local authorities. The task of looking for Oireachtas signatures has been made all the more difficult by Fine Gael, Fianna Fail and Labour TDs and Senators throwing their support behind Mr Higgins and Sinn Fein's intention to run its own candidate. Independent TD Michael Fitzmaurice has been coordinating efforts in Leinster House to garner enough signatures for at least one candidate. Its understood that the strategy is to see which candidate has the most support, with the others to bow out and potentially seek a nomination through the local authority route. He said during the week he has received confirmation from 19 Oireachtas members that they're open to backing a candidate to run. The Roscommon TD declined to say which candidate he'd be prepared to nominate saying he wants to see all the names in the field first. Last night Mr O'Neill, who was GAA president from 2012 to 2015, said he is still consulting with friends in politics, his family and others on whether or not he will seek a nomination. He expects to make a decision early this week. Asked why he is interested in running, Mr O'Neill replied: "I think every citizen who has been in a leadership position in any section of their life would love to lead their country." He said that while he has not been directly involved in politics he has been "huge enthusiast for the Irish language all my life" and added: "I love my country." The Co Laois man said: "When the suggestion is put to you, would you like to have a shot at leading your country, it's very hard to rule that out without giving it consideration." Mr O Ceidigh and Ms Freeman declined opportunities to comment on their potential bids. Ms Freeman, the founder of suicide prevention charity Pieta House, wrote to several local authorities last week seeking their support for a nomination. In her letter she indicated that her campaign would focus on well-being and promoting volunteerism.